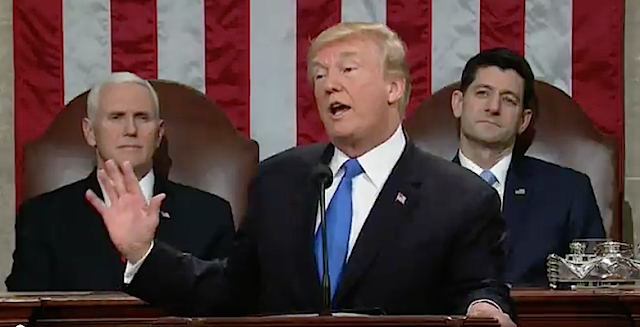 Trump blames Democrat Lawmakers including Nancy Pelosi who didn't clap during his State of the Union are Treasonous and "un-Americans"
VietPress USA (Feb. 5, 2018): President Trump delivered his first State of the Union (SOTU) on Tuesday, Jan. 30, 2018. On Thursday, Feb. 1st, the New York Times said that "...Trump boasted, incorrectly, that his State of the Union address drew the highest number of viewers in history. He was off by millions of people (https://www.nytimes.com/2018/02/01/us/politics/trump-ratings-crowd-size.html)..
Mr. Trump’s claim that his address was “the highest number in history,” is wrong because it ranks ninth out of the annual addresses delivered by presidents since 1993. President Barack Obama’s first State of the Union speech in 2010 beat Mr. Trump’s by about 2 million, with some 48 million viewers. Even factoring in online streams, Mr. Trump’s address would not outrank Mr. Obama’s. It is impossible to do a conclusive tally, but the White House’s official stream of Mr. Trump’s address on YouTube has drawn roughly 51,000 views while Mr. Obama’s 2010 address has been viewed 524,000times." Today on Monday, Feb. 5th, 2018, Trump said that Democrats who didn’t applaud during his State of the Union address — including Rep. Nancy Pelosi — were “treasonous” and “un-American.”. 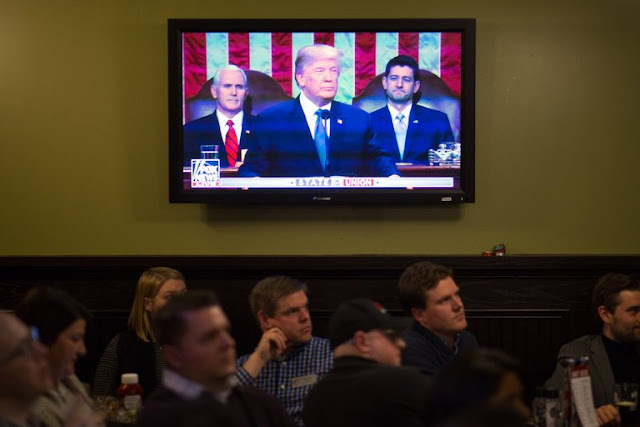 Republicans in the House chamber applauded often during Trump’s Jan. 30 State of the Union address, his first as president, while Democrats, led by Pelosi, resisted many of Trump’s applause lines. Trump then pointed to the back of the room of the Cincinnati factory where he was speaking. Representatives for Pelosi and the Democratic Congressional Campaign Committee did not immediately return requests for comment. Trump described a moment during his speech when he touted the record-low African-American unemployment rate — a figure he has taken credit for, although the drop during his first year in office continued a steep fall during President Obama’s second term. “I said we have the lowest black unemployment in the history of our country,” Trump said. “It was like, it was a game, you know, they play games. Trump said he noticed one man — “probably a reverend,” Trump said — clapping among the Democrats. “He was probably severely reprimanded,” Trump mused.